Build it and they will come, as the saying goes but fail to test it adequately and you risk the huge investment in developing and deploying networks. With 4G and 5G and a plethora of unique and divergent service requirements testing has never been more complex. AceAxis can help, we have developed 4G and 5G radios specifically targeted at supporting network load testing, development and deployment of test/trial networks and test of radios in a factory or lab environment. 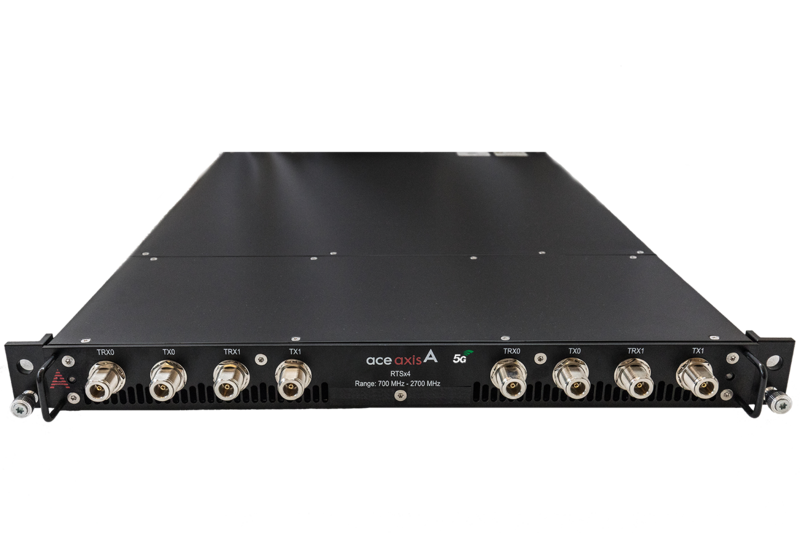 The AceAxis Radio Test System (RTSx4) is a powerful 19” Rack-based 4 channel wideband transceiver for Wireless system testing. It has been designed to operate as a mobile signal emulator for use with LTE eNode B base stations during test and conformance. The RTSx4 offers flexible BTS connections communicating via CPRI. Internally there are two 2x2MIMO Radio entities, using their own unique IP addresses obtained via DHCP or set to the default static address. Each Radio has Ethernet control either via an RJ45 interface or via Ethernet over CPRI. Click here to View the 4G Test Radio datasheet. 5G networks demand even more exacting radios. 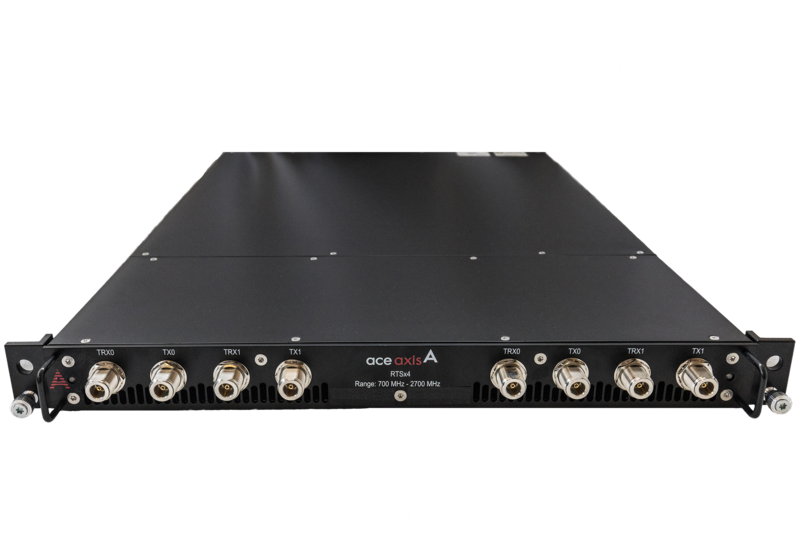 AceAxis has responded with its 5G test radio designed to support OTA testing, millimetric (with the addition of RF mixer options) and sub 6GHz radio test. The AceAxis 5G Test radio offers wider instantaneous bandwidth and improved phase noise margin to cope with the data demands of 5G. 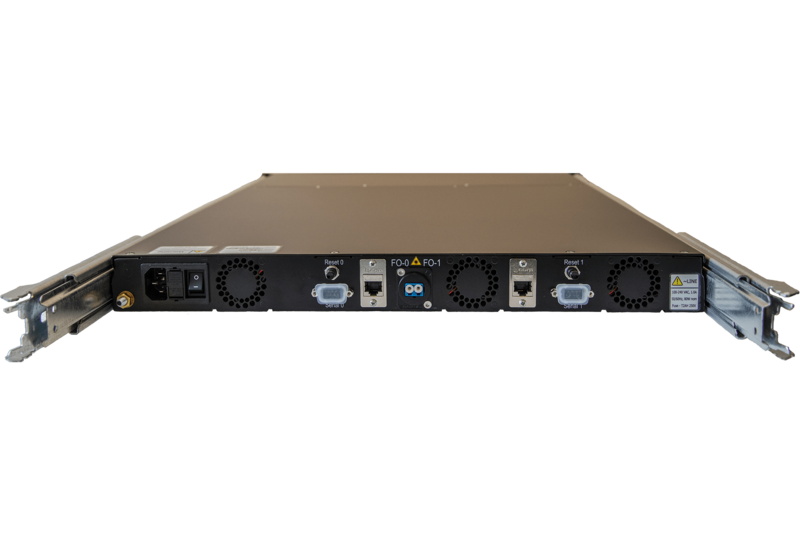 The AceAxis 5G Radio Test System is a powerful 19” Rack-based 4 channel wideband transceiver for Wireless system testing. It has been designed to operate as a mobile signal emulator for use with LTE eNode B base stations during test and conformance. The 5G Test radio offers flexible BTS connections communicating, initially via CPRI (other options are available subject to demand and clarification on the version of standards used). Internally there are two 2x2MIMO Radio entities, using their own unique IP addresses obtained via DHCP, or set to the default static address. Each Radio has Ethernet control either via an RJ45 interface or via an Ethernet over CPRI channel. 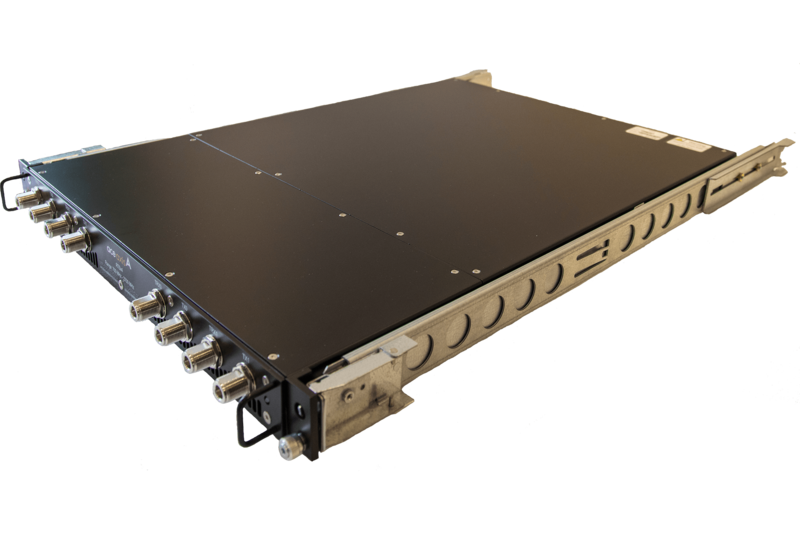 Click here to view the 5G Test Radio datasheet. Please contact AceAxis at info@aceaxis.co.uk for more information on our 4G/5G test radios.